Serve your favorite salsa, aji, or chimichuri sauce in style. 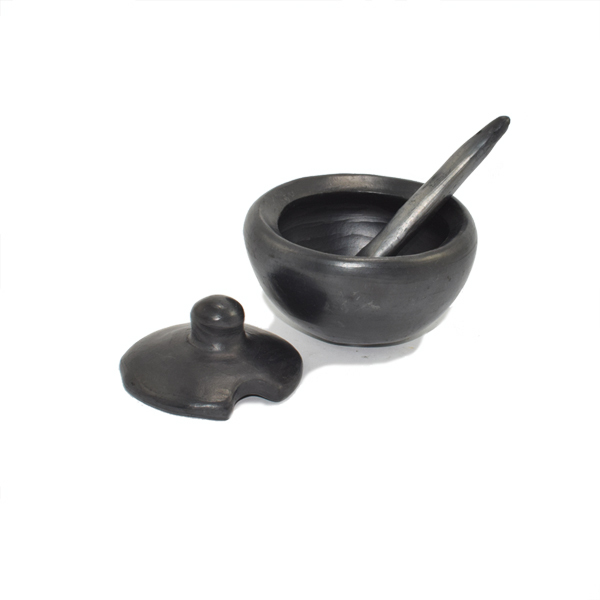 These Small Black Clay Salsa Dishes come with a cover and a clay spoon for serving and create a dramatic authentic presentation when combined with other Black Clay serveware. These salsa dishes are smaller than the Covered Salsa Dish with Handle for smaller serving sizes.